Lisa Kowalski has gone from busking on the streets of Paisley to performing outside Hampden, and has now just been awarded money via the Culture Events and Heritage Fund to create an EP. We asked Lisa to send us some information about what she has achieved via Lisa Kowalski Music. 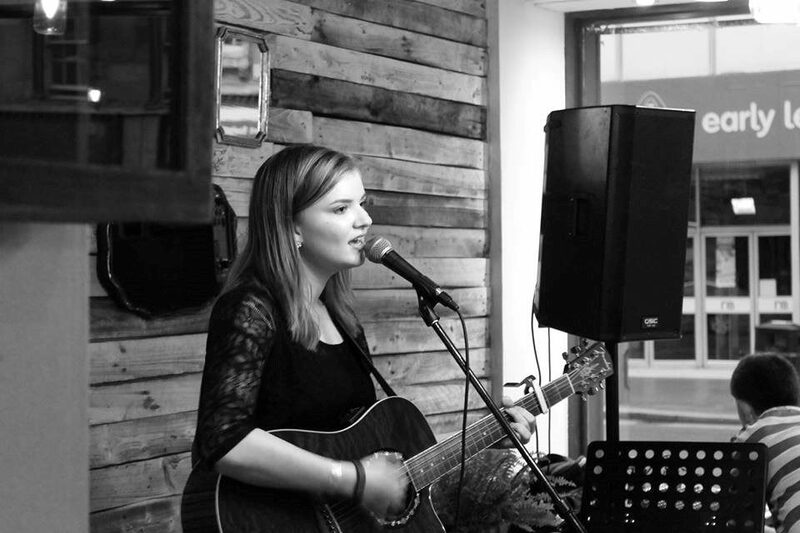 “Although I have had the opportunity to perform in lots of places, busking in Paisley High Street is one of my favourite ways to spend a sunny Saturday. I’ve been finding a pitch on the High Street whenever I can and have made many supportive friends through this, including security guards, Big Issue sellers, local businesses and appreciative shoppers. Lately I’ve felt that the town has really helped me in my musical career with support from St. Mirren, Loud n Proud’s Tommy McGrory, Brick Lane Studios and Create Paisley. Please visit https://www.facebook.com/lisarozamusic/ and Like Lisa’s Page, lets get the page noticed and please share with friends..